Gunther was found abandoned in the street with his sister, and is now neutered and ready for a permanent home. He is about a year old. 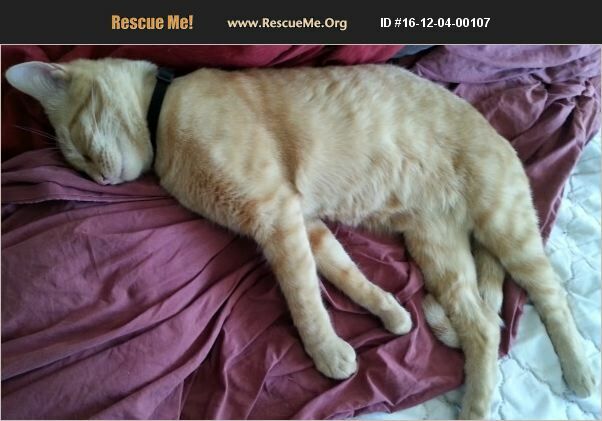 He is very affectionate and he loves to be picked up and cuddled like a big purring teddy bear. He also loves to play. He loves all humans and dogs, and gets along with other cats after a period of introduction.